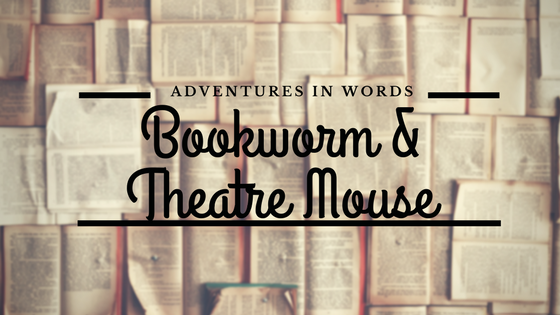 So, we all know I love the theatre, and musical theatre is always a winner, but when it comes to encouraging Mr BookwormandTheatremouse to enjoy the musicals it can be a challenge. However, as his birthday gift, I got him tickets to see ‘Young Frankenstein’ (there was no thought of me when I picked this gift, promise) because it looked very silly and it starred Ross Noble – I mean, what else do you need? The show is on at The Garrick in London, which is a theatre that I have not been to before; however, it is just along from the National Portrait Gallery, which is one of my favourite spots in London. The theatre is an absolute delight – although it is fairly small, I suspect that there is not a bad view (we were upper circle), as it is well laid out, so you seem to have a good view from most seats. Enough about the theatre – let’s talk about the show. I did not know too much about it, other than I was sure it was going to be good fun, as it involves the imagination of Mel Brooks and it was starring Ross Noble (I may have mentioned that already); that was enough to convince me that it was going to be good fun. And, oh my, was it good fun: you sense from the moment that the first note strikes up (which had the lady behind us in the giggles) that it is going to be a show that everyone enjoys, whether they are in it or in the audience. Everyone on the stage was superb, with true enjoyment of what they were doing and so much natural comic timing you could not help but smile all the way through the production. There is so much cheeky humour, it is like an extended game of innuendo bingo, but it is so cleverly done that you could blink and miss it (other than in the number ‘Roll in the Hay’ – that does not leave much to the imagination), but you will no doubt be rolling in the aisles throughout the jokes. Mel Brooks certainly has a skill for finding the funny side in the cinema triumphs of the age, so ‘Young Frankenstein’ is a gentle mick-take of the old-fashioned horror films that so many enjoyed in the early days of cinema. You may see some of the gags coming if you have watched any such films, but you still appreciate every moment, and probably laugh even more as you realise how obvious the plots of so many of those films were. This was another production where there was no star, as every member of the cast (although, I am not going to lie, I did think that Ross Noble’s Igor was very good), orchestra and crew made the show what it was: an absolute triumph. I can understand why so many people have been to see it more than once because I am keen to head back. I am, also, pretty sure that Mr BookwormandTheatremouse would say the same – when he has finished laughing and humming show tunes. Have you been to see ‘Young Frankenstein’? What did you think? I am a huge fan of the story of ‘A Christmas Carol’ (and I must confess that it is the only Dickens tale that I have read from start to finish), so when I saw that the RSC was going to be doing an adaptation this festive season, I had to get tickets. Then my excitement was heightened when the cast was announced and Phil Davis was to be taking on the role of Scrooge; he has been a family favourite of ours for a long time, especially for shows such as ‘Whitechapel’ and the appearances that he makes in all our favourites. So, on the 16th December (I know, I am a little behind – blame festivities) we arrived at a very Christmassy Royal Shakespeare Theatre to take our seats for ‘A Christmas Carol’. From the moment the production started, you were transported to Victorian England at Christmas time. The thing I admired the most was that such a simple set transported us to all the favourite destinations in the tale, from Scrooge’s chambers to Fezziwig’s Christmas party, in such simple moves of staging from all of those involved. The other immediate charm was that it was a small cast who took on the mammoth job of bringing this favourite to life, but it was all so cleverly done with subtle links between the characters they took on (I always admire a quick change). Dickens takes you through the story as the narrator of the tale (although he too must take on other roles as we move through the play, but you almost do not notice, as it is all such a smooth transition). However, what I really admired about the tale having some narration, rather than it just being played out, was the real focus on context that this story was given with this narration. The social and historical context were really key to this production and this in fact probably made the tale even more relevant for the modern audience as, sadly, we are still in a society of clear divisions. The costumes and the effects throughout the production are absolutely stunning. Every single member of the company appears to thoroughly enjoy themselves from start to finish, and you are entranced from the very beginning. The audience certainly showed a great deal of appreciation for the play. I am not sure I can ever really say that I have a favourite Scrooge – give me any opportunity to read, see or listen to this story over the festive period and I will take it. However, Phil Davis was a wonderful Scrooge, conveying the small emotional changes you see in the character as the story unfolds before his eyes just as it does for us. I would highly recommend catching this at the RSC if you can; it is another wonderfully festive interpretation of a much-loved classic and it will keep that festive spirit alive a little longer as we head into 2018!